So many incredible women love Marysia's 'Antibes' bikini, including Tracee Ellis Ross, Bar Refaeli and Behati Prinsloo. 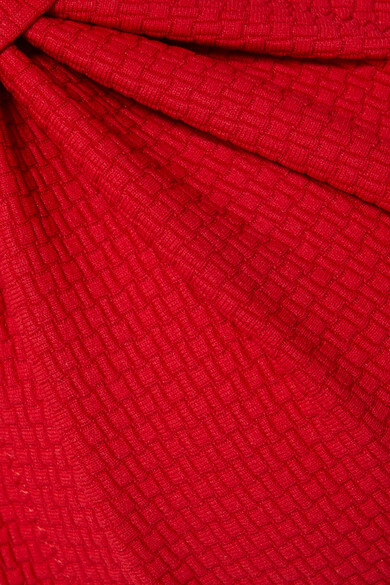 Cut by hand in a couture factory, this cherry-red scalloped top is made from premium Italian stretch-crepe with a flattering basketweave texture. Add the matching briefs to your shopping bag, too. Wear it with: GANNI Sunglasses, WALD Berlin Necklace.